Web analytics is a critical component in measuring the growth, success, and shortcomings of your online presence. Where do your visitors come from? What do they look at while they’re on your site? What’s preventing them from making a purchase or filling out a form? All of these questions can be answered with web analytics. From lead generation to ecommerce, understanding the steps your customers take — from curiosity, to interest, to making a purchase — can be at your fingertips with the right web analytics tools. Here’s a list of 12 web analytics products you can use today to better understand your business. Free and open source, Piwik runs on your own web hosting server and utilizes you own local databases to analyze web traffic. If you’re interested in having your analytics package as opposed to using SaaS — software as a service — this is a viable option.Price: Free. Google Analytics is another free option, with the data being hosted by Google. It tracks multi-channel attribution and AdWords campaigns, and because it’s owned by Google, it can support some search-engine-optimization tracking not offered by competitors. There is a premium version available for very large organizations. Price: Free for most users. 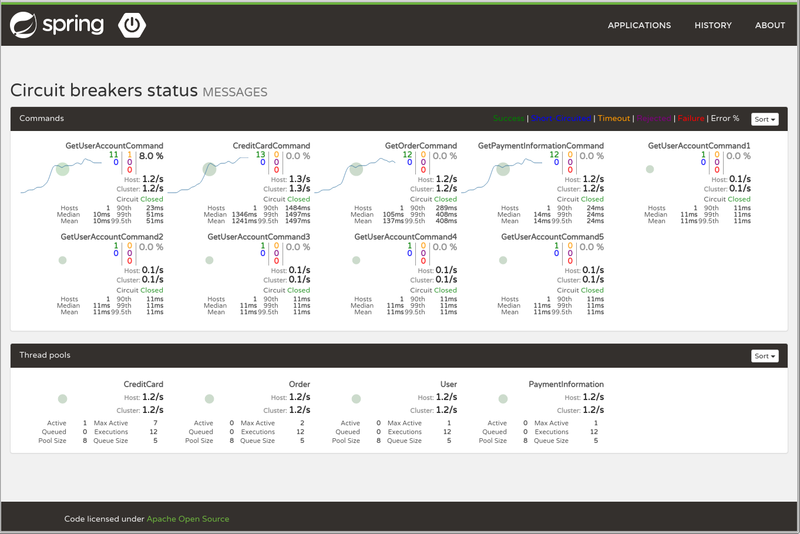 Spring Metrics features a robust feature set, including automated and personal customer interaction. Outside of the traditional web analytics statistics, users can set coupons and offers to pop up during customer visits, encourage social sharing from repeat customers, and reward visitors for being brand advocates, Facebook fans, and the like. Price: Base packages at $49 per month. Woopra is an innovative real-time web visit tracking platform that also provides historical data for repeat visitors, customers, and clients. Utilizing a browser based dashboard, Woopra can track specific events, goals, purchases, and browsing — and report back in real time. Price: From $11.95 to $350 per month, depending on visit volume and required features. 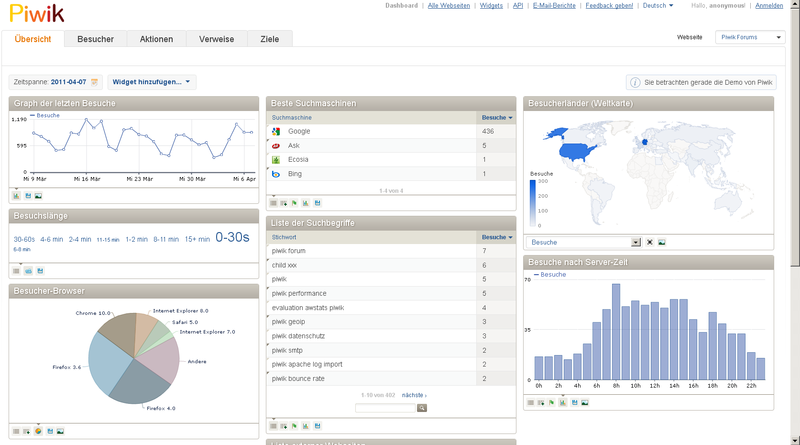 KISSMetrics focuses on the analysis of visitor behavior. The tools are structured to understand customer life cycle, from initial visit, to purchase, to lifetime revenues and support requests. Price: From $29 to $499 per month, depending on visit volumes and feature sets. While primarily a real-time visitor tracking tool, Clicky’s mid-range packages will allow you to monitor Twitter as well for terms of your choosing, making it a multi-purpose analytics tool and social media monitor. Price: From free for very basic analytics, to $20 and more per month for feature-rich and custom packages. Logaholic is based in the Netherlands. Its analytics offering can be either self hosted, or used as a service. The free self-hosted version is likely to be powerful enough to support many small businesses, and additional tracking features, profiles for additional websites, and user seats can be purchased separately. Logaholic also offers a Reports Store, where many additional features can be purchased on a transactional basis. Price: Free for basic self hosted with additional seats and website profiles at roughly $20. Hosted plans range from $9.99 to $49.99 per month. Quantcast isn’t a traditional web analytics tool, but by utilizing its tracking code a user can closely analyze the demographics of his or her web audience, as well as find affinities. By registering, you are making the data available to the public, but you may hide it and choose to share it only on a “by request” basis. Price: Free. Touted as web analytics for lead generation, VisiStat offers all the traditional metrics for web traffic monitoring, and it also parses IP addresses and other criteria to attempt to identify companies that are visiting your website without actually contacting you. The goal is to provide the data to the sales organization for “warm” follow up. Price: Starts at $49 per month. One of the biggest challenges in web analytics for lead generation companies — as well as retailers, to a degree — is in the measurement of the success of web advertising from business driven over inbound phone calls. IfByPhone provides solutions to combine digital advertising sources and phone calls, giving users a more complete picture of their marketing success. Price: Starting at $49.95 per month plus per-instance costs. Custom packages are also available. 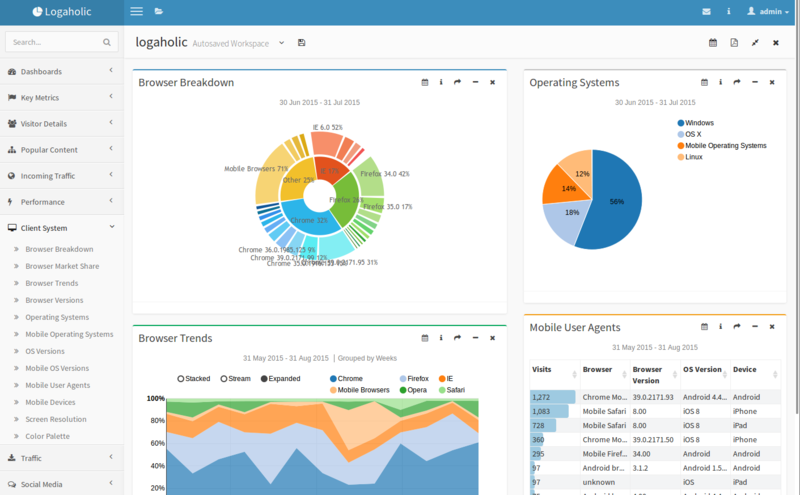 Another open source, self-hosted option, Open Web Analytics will remind users in look and feel of Google Analytics, while also making all collected data proprietary, versus sharing it with the software provider. Installation is a bit trickier than most self-hosted web analytics tools. CrazyEgg is a powerful “visitor experience” analytics tool. While it caters to standard web analytics metrics, its primary value is in visualizing the behavior of web visitors while they are looking at any given web page. It includes scrolling statistics to see how far down a page a visitor will look, heat maps to see where they are clicking most frequently, and segmenting tools to dissect both of the above by web referral sources and search engine terms. Price: From $9 to $99 per month (billed annually) based on number of unique pages you wish to study.